This book provides a comprehensive overview of Celtic mythology and religion, encompassing numerous aspects of ritual and belief. Topics include the presence of the Celtic Otherworld and its inhabitants, cosmology and sacred cycles, wisdom texts, mythological symbolism, folklore and legends, and an appreciation of the natural world. Evidence is drawn from the archaeology of sacred sites, ethnographic accounts of the ancient Celts and their beliefs, medieval manuscripts, poetic and visionary literature, and early modern accounts of folk healers and seers. New translations of poems, prayers, inscriptions and songs from the early period (Gaulish, Old Irish and Middle Welsh) as well as the folklore tradition (Modern Irish, Scottish Gaelic, Welsh, Cornish, Breton and Manx) complement the text. Information of this kind has never before been collected as a compendium of the indigenous wisdom of the Celtic-speaking peoples, whose traditions have endured in various forms for almost three thousand years. Purchase directly from the publisher now by clicking the book cover image above, or here. Click here to purchase via Amazon.com. Cover art by the very talented Cynthia VonBuhler. Book by Sharynne NicMhacha (Red Wheel / Weiser Press) - Available now directly from the publisher by clicking here, or from Amazon by clicking here. 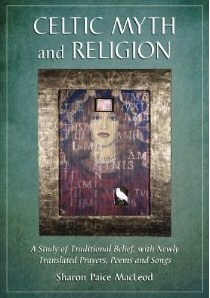 A scholarly and mystical quest into the possibilities and expression of moon worship in Celtic tradition and in areas inhabited by the Celts, including the primal significance of moon phases, stone circles, Indo-European goddesses of the night, Druids and druidic lore, sacred plants, ancient Celtic calendars,the Welsh figure of Arianrhod, the Arthurian figures of Argante and Morgan le Fay, and Celtic folklore. 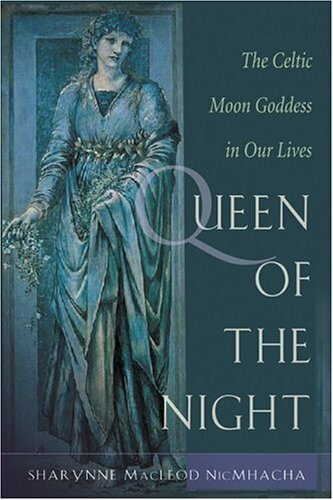 Queen of the Night is a journey into the world of Celtic cosmology, shamanism, and sacred animals, as well as Celtic language, art, and culture, to discover the power and centrality of the moon. Since the earliest times, from stone circles and passage graves to the rites and customs of Druids, the moon has been the symbol of the Divine Feminine and has played a crucial role in worship and celebration. Celtic, Medieval, Pagan trance-rock and meditative music (vocals, woodwinds, electric guitar, percussion). Won Best CD of the Year in Boston (1998 - Noise Mag. ), received stunning press and airplay in the U.S., Canada, Europe, Japan and the Middle East. Long unavailable much sought after, and fetching high prices on Ebay, this disc has been re-released by Forest of the Fae recordings in conjunction with Media Nemeton. 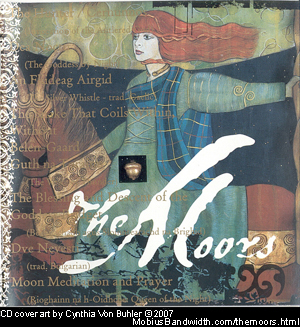 You can read some reviews of the Moors here: Moors reviews.